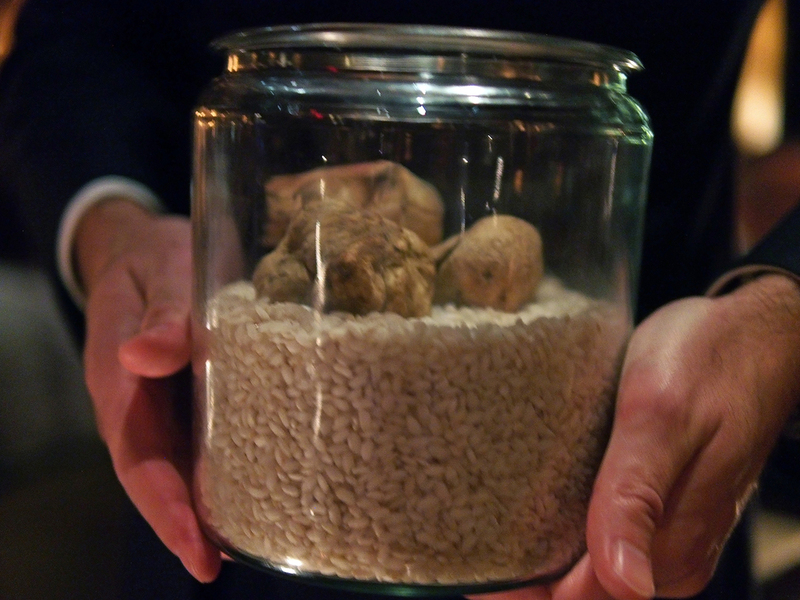 Here’s the thing about white truffles. They are very scarce since they are only available for a few months in the fall. Pounce if you have the chance. 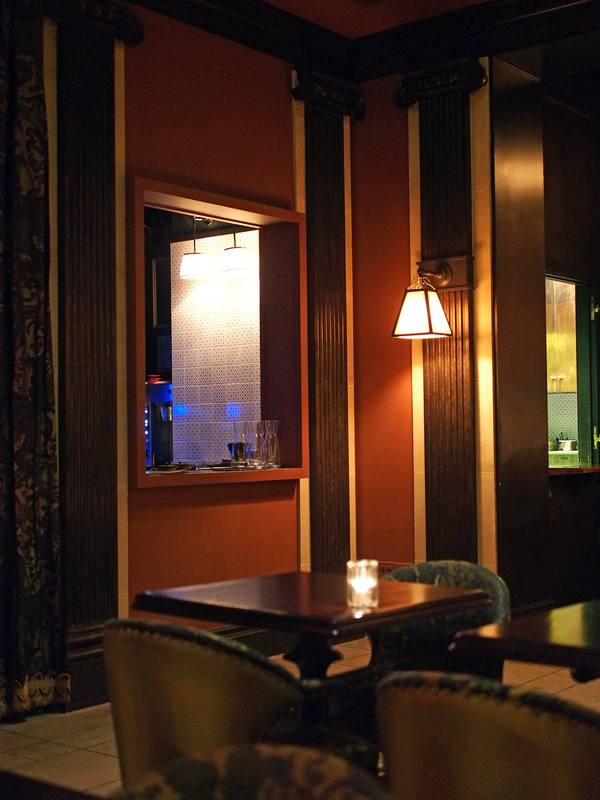 The NoMad decided to offer white truffle over tagliatelle or risotto at cost so when I called, tables for the following week were already booked. The only day they had left was a Sunday so I greedily decided to book two reservations so I could enjoy risotto for lunch and tagliatelle over dinner. When I met up with Rob and Jessica in the beautifully appointed lobby, we were beyond excited. We have all experienced burgundy and black truffles but it was our first time trying white truffles and we were curious in seeing how it compared. 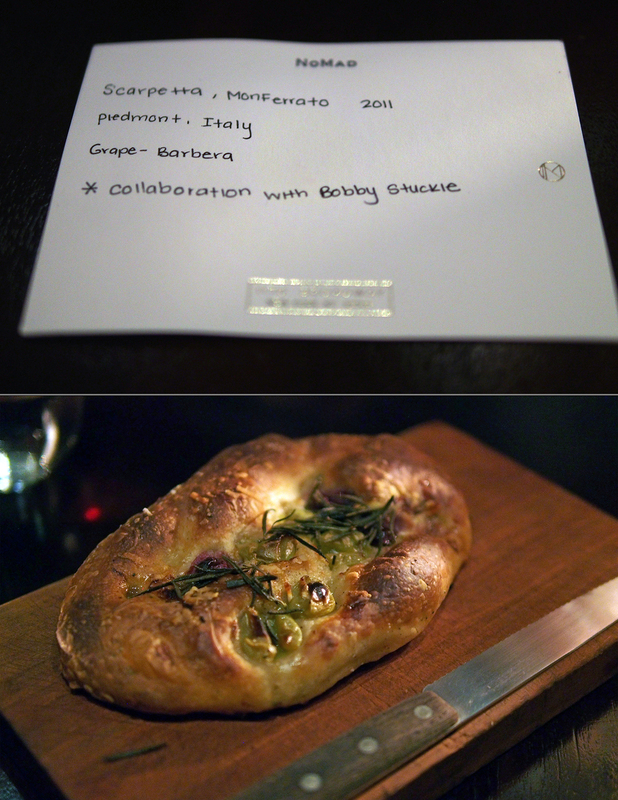 As we sat down and examined the menu, we noticed that the tagliatelle and risotto with truffles were missing. My heart stopped. Did they already run out? The server reassured us that they still had supply but unfortunately, they were only serving it at lunch and dinner but not weekend lunch. I wish there was a picture of our 3 faces. Silent. Stunned. As if we just got news that our dog was hit by a car. 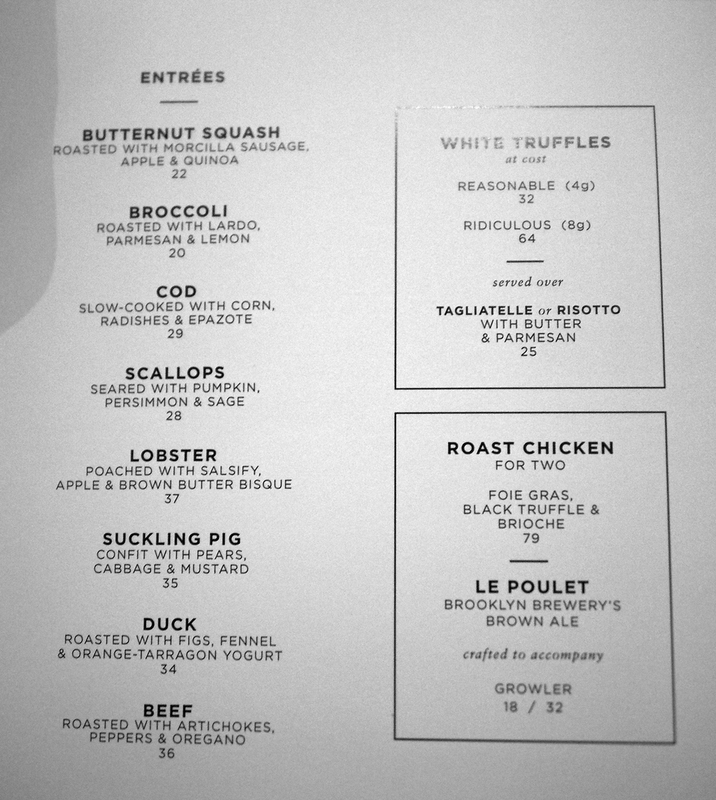 “But….but can’t the chef just take a truffle and just….and just slic--” Jessica pleaded. “Sorry, those are the restaurant policies,” our server explained. We decided to grab lunch at Eataly but there was a mob, 10,000 strong. Also, a patron fainted and bloodied the floor of the pizza/pasta restaurant so things shut down pretty quickly while they waited for the paramedics. Ambulance sirens blared at us, mockingly, as we made our way out of Eataly and into the nearby Madison Square Eats - a culinary pop-up market with notables such as Roberta’s pizza, and Mighty Balls. We were starving by this point so I just grabbed a few Mighty Balls (jalapeno jelly is the best) and Rob and Jess had Roberta’s before we parted ways. Lunch was foiled so by the time dinner rolled around, I was pumped. Vince and I were seated and couldn’t help but laugh at the menu. We both decided to order the tagliatelle both ways: reasonably and ridiculously. After we devoured the delicious focaccia with rosemary and grapes, the moment of truth arrived in the form of a heavy glass jar and a gentleman sporting a three piece suit and a classy Jaeger-LeCoultre with a black alligator band. Even with the lid on, the pungent aroma slowly seeped out and settled over our table like a cloud. The server inched closer and pointed the jar at us as he opened the lid. The cloud became a waterfall that sprayed all over our faces. Intoxicating. The shiny blade of the truffle shaver caught the light perfectly as he went back and forth, paper-thin slices cascading into our bowls like snowflakes. 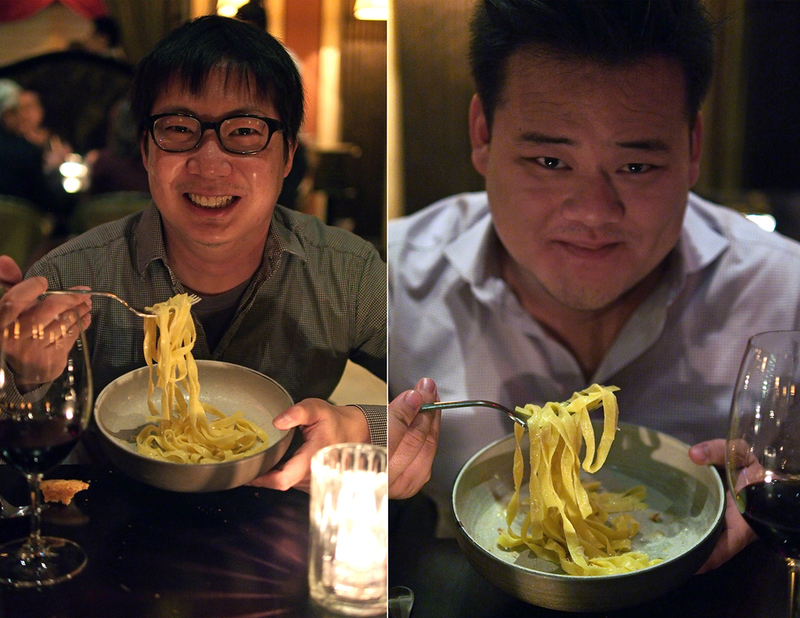 After we inhaled from the jar one more time, the bespoke gentleman disappeared, leaving us in silence with our bowls of golden tagliatelle topped with a blizzard of truffles. Vince and I first tasted a sliver of the truffle by itself. 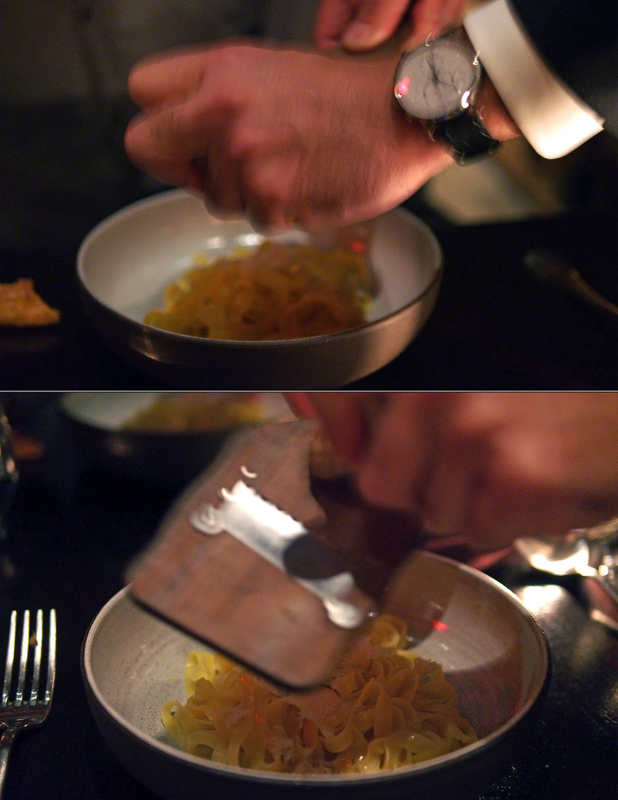 Just weeks before, I repeated this action with a slice of black truffle at Marea and to be honest, there was no flavor. The white truffle bite was the complete opposite. Earthy. Woody. Mushroom essence. The flavor of the truffle in isolation was special but after mixing it with the cream and butter, it came out of its cocoon to become really spectacular. 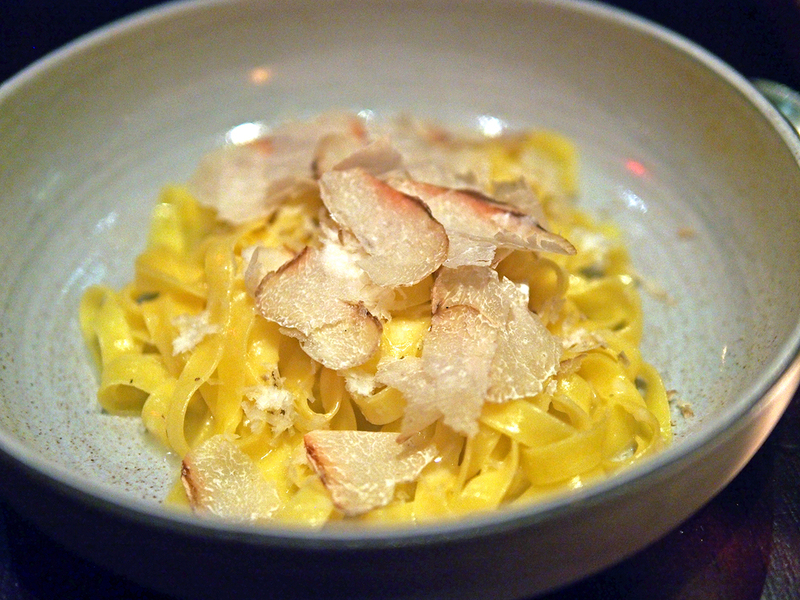 The pasta was cooked to a perfect al dente texture and the fact that they kept it simple (just butter and parmesan) to showcase the truffle flavor was a calculated exercise in restraint. This is now in the Top Three of my favorite pasta dishes. Another server, Mark, stopped by our table after recognizing my brown leather camera strap. He was my server a few months back when I tried the famous NoMad chicken for the first time. He was also the one who recommended Jeepney and Maharlika which I adore. “Hey Mark, what’s the good word?” I asked. “Huh? Truffle over ice cream? Does that work?” I asked incredulously. Ivonne interrupted our conversation with affogato - a creamy scoop of vanilla bathed in intense espresso that was the perfect end to the excellent meal. Our bellies full and faces flush from the alcohol, we climbed on our Citi Bikes and pedaled home in the brisk autumn air.